A hero police dog helped arrest a suspected thief despite having his head repeatedly slammed in a car door. 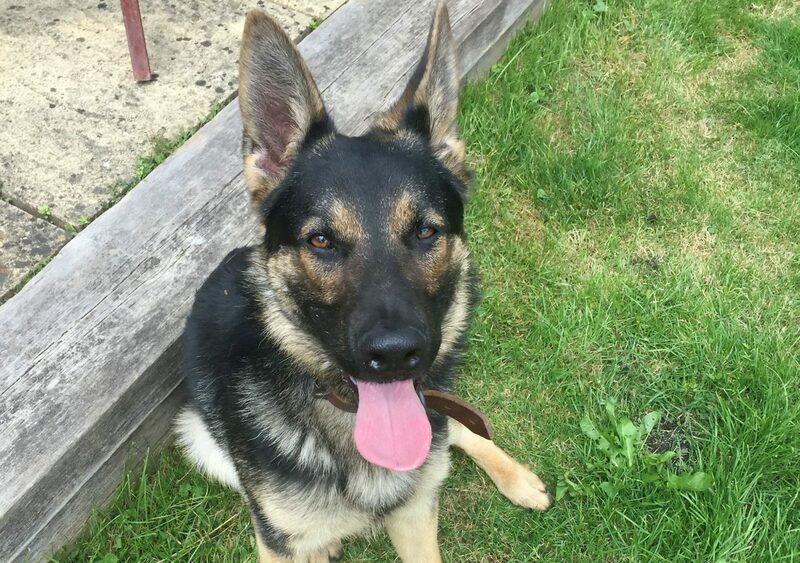 Alfa and his handler tackled the “reckless” thug when the stolen car he was driving beached on a roundabout after he rammed a police dog van while being chased by cops. The suspect, 36, slammed the car door on Alfa’s head repeatedly as he tried to get away. But determined Alfa bit the suspect as he and his handler finally got their man. The 36-year-old’s now in police custody after receiving treatment for the bite following the incident in the early hours of Thursday morning in Abbey Wood, south east London. He was arrested on suspicion of failing to stop for police; dangerous driving; theft of a motor vehicle; going equipped to commit theft; criminal damage to a police vehicle; driving whilst disqualified; driving without insurance; and animal cruelty. Alfa was taken to a vet for a check-up and he been kept in overnight for observation. Police chiefs paid tribute to Alfa and his handler. Superintendent Emma Richards said: “This is the second time in as many weeks we have witnessed the sheer bravery of officers working within the Met’s Taskforce and Dog Support Unit. She added: “Our officers work day and night to make the streets of London a safer place, and this is a prime example of the kind of situations they encounter, but tackle with bravery and professionalism. She said the drama began officers from the Met’s South East Area Basic Command Unit (BCU) were travelling on Harrow Manorway in Abbey Wood at around 12.30am this morning (THRS) when a vehicle with false number plates was spotted. Supt Richards added: “The officers switched on their blue lights signalling for the vehicle to stop, but it failed to do so and made off. 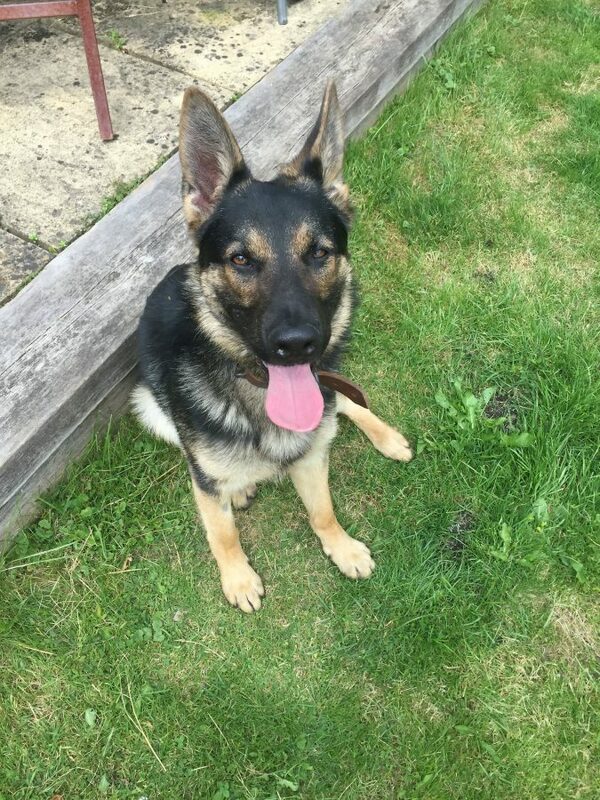 “The officers began pursuing the vehicle, and were joined by colleagues from the Met’s Dog Support Unit. “During the pursuit, the suspect reversed into the dog unit vehicle. The stolen car became stuck on a roundabout as a result. “One officer approached the suspect’s vehicle, deploying Police Dog Alfa at the same time. “The officer attempted to open the door, but the suspect struggled to keep it closed – slamming it on Alfa’s head multiple times in the process. “The officer used his baton and managed to remove the suspect from the vehicle. “The 36-year-old man was subsequently detained by Alfa and taken east London police station where he remains in custody. “The London Ambulance Service attended and provided medical attention to the man for an injury to his arm that he sustained when Alfa detained him.